My name is August Ada King. I'm the Countess of Lovelace. I am a mathematician and a writer. People know me from my work on Charle's Babbage's early mechanical general-purpose computer, the Analytical engine. I wrote the first algorithm intended to be processed by a machine. In other words, I am the world's first programmer. 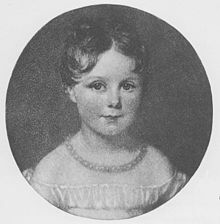 My mother, Anne Isabella Byron, was a great help to me as she helped me by promoting my interest in mathematics and logic, but I also never forgot about my dad, who moved to Greece when I was just an infant to help out in the civil war. Throughout my life, mathematics have been my primary interest. I always question even basic assumptions by integrating poetry, another great love of mine, and science. I also have a keen interest in scientific developments and trends of my era like phrenology and mesmerism. The computer language Ada, was named after me. The Defense Military standard for the language, MIL-STD-1815 was also given the year of my birth. These days, the British Computer Society runs an annual competitions for women students of computer science in my name. Also, the annual conference for women undergraduates is named after me. Google also dedicated its Google doodle to me, on the 197th anniversary of my birth.